In 2017 Bud Light was running its friendship campaign while Miller Lite, its biggest competitor, was running a campaign that attacked Bud Light. This response spot was created to show that the biggest act of friendship is to befriend your enemy. This was not a project that we received a brief for – the idea came to me while randomly driving to work one day. When I shared it with my CD, we knew we had to do it. In addition to promoting friendship, Bud Light wanted to feature the quality of its product. 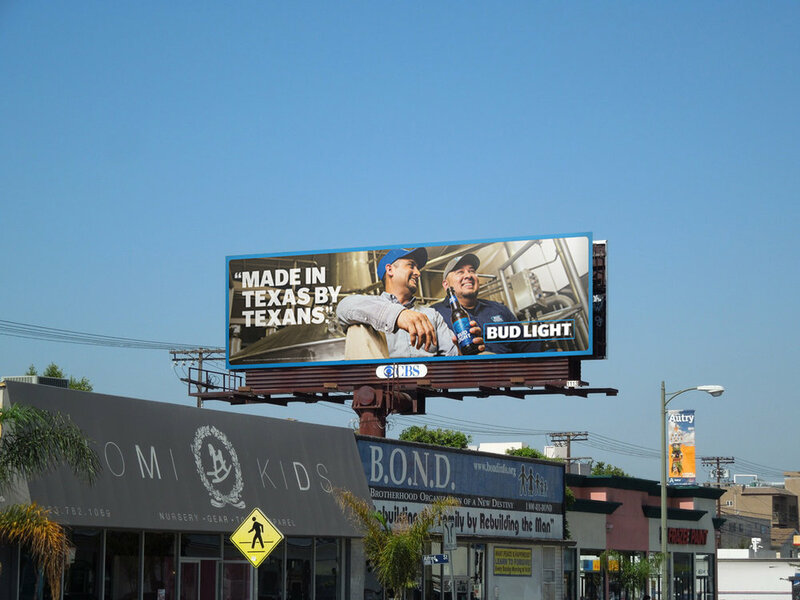 I led this OOH billboard campaign that highlighted Bud Light's Houston and Los Angeles breweries and the friendship within their facilities.